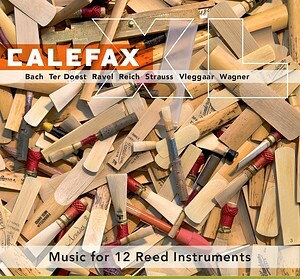 CalefaXL | Calefax Reed Quintet | Dispeker Artists, Inc.
For their 25th anniversary, Calefax decided to give themselves and their audience a present: repertoire with 140% extra Calefax! From arrangements of symphonic music by Ravel and Strauss to organ music by Bach, to a new original piece by Dutch composer Giel Vleggaar. They play it all!